"Under Construction." This "Everything's Included" home offers the components in a home for a modern lifestyle. Unique spaces such as the Tech Area and three car tandem garage offer both functionality and organization to a busy lifestyle. 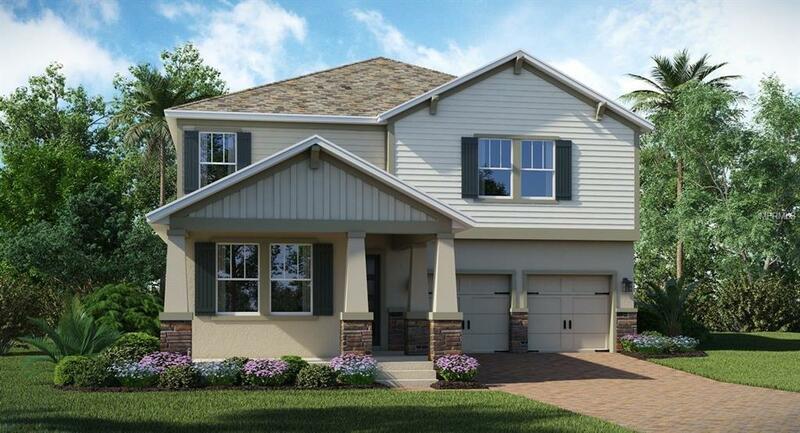 With 5 bedrooms and 3 baths, this plan is perfect for a family. The downstairs bedroom and bathroom combo are perfect for guests, multi-generational families or an office. The second story of this home boats 4 bedrooms that surround an enormous game room perfect for fun family activities and movie night. It comes fully equip with Everything Included. This Ecosmart home has solar power to offset the electric bills and come fully connected with features like a Honeywell thermostat, Kevo lock and ring doorbell. Not to mention, light concealing remote blinds in the master and Lutron lights in the kitchen that are all verbally controlled through the Amazon Alexa. Don't Miss out on this Innovative home found in the Heart of horizon's West just minutes to the Town Center Village!!!!! Surrounded by Panther Lake Golf Course, this community is designed with an active lifestyle in mind. Golf views will be available for select homesites. With easy access to Walt Disney World, Universal Studios, Winter Garden Village, and much more, its easy to see why this area is growing fast! At Innovation at Panther View Manors, nature, beauty and community have come together to create a lifestyle unlike any other.